A couple of weekends ago Mr. C ² and I planted some tulip bulbs in our flowerbeds. When we moved in this house in June of 2013, the only plants here were some hosta and about 8, 60-year-old junipers…not exactly a lovely, colorful garden. Well, the junipers are finally gone and now it’s time to plant. 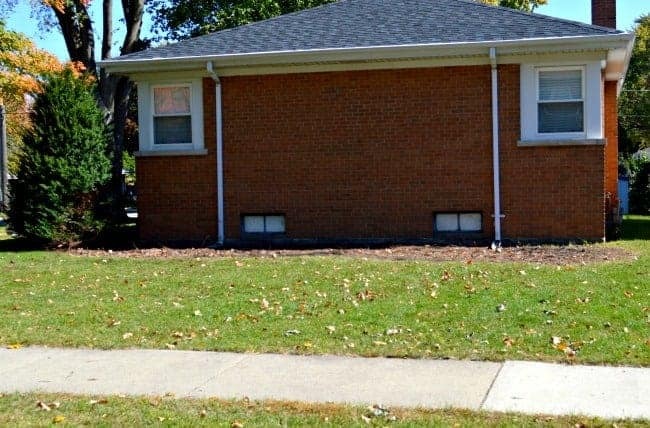 I have planted a few bushes in the front of the house but I was waiting for all of the junipers to be removed before we made any big plans. 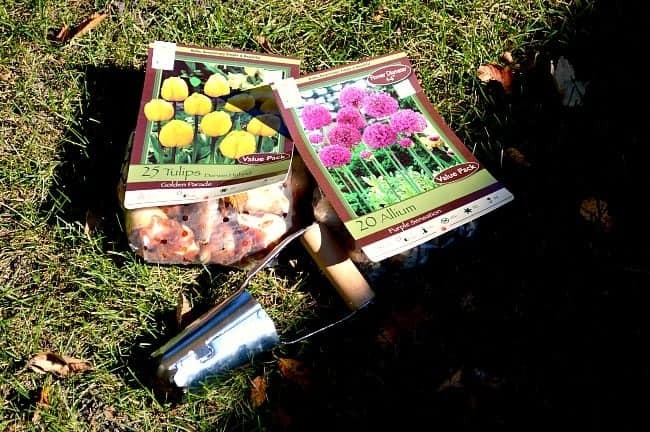 I did know that I wanted to plant some tulip and Allium bulbs so we would have something pretty to look at in the spring. As you can see, I chose yellow tulips and Allium. We just started with two packages this year, since this is the first time and we’re not sure how they will do. 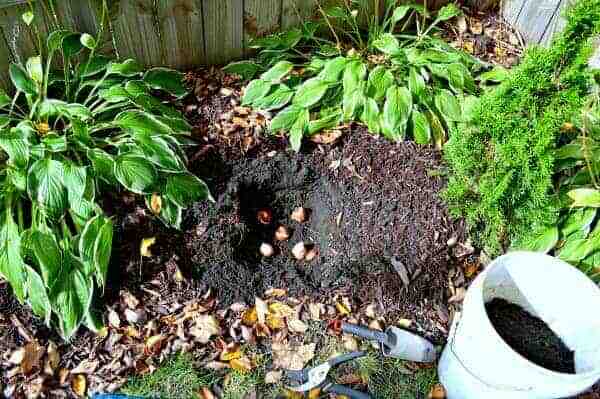 I know that my neighbor has had her bulbs dug up by our nuisance resident squirrels so we had to come up with a plan to protect the bulbs too. We started in the back where the hosta are and just dug a hole 5 inches deep by about 12 inches square. It was slow going because there were a lot of roots to deal with. We actually dug a bit deeper that 5 inches to loosen the soil some and to make sure there were no big roots in the way. Then we just filled the hole so we had a depth of 5 inches. 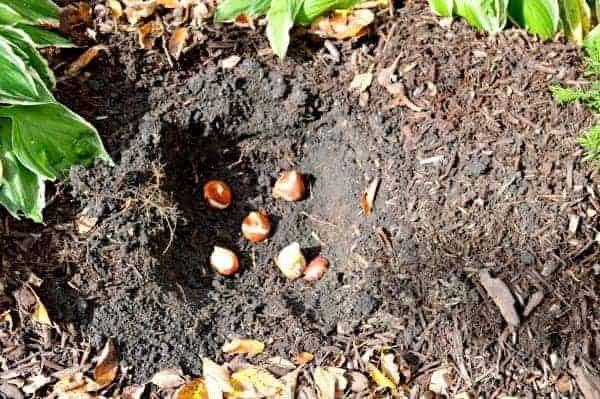 Next I placed 5 tulip bulbs in the hole, point sticking up. 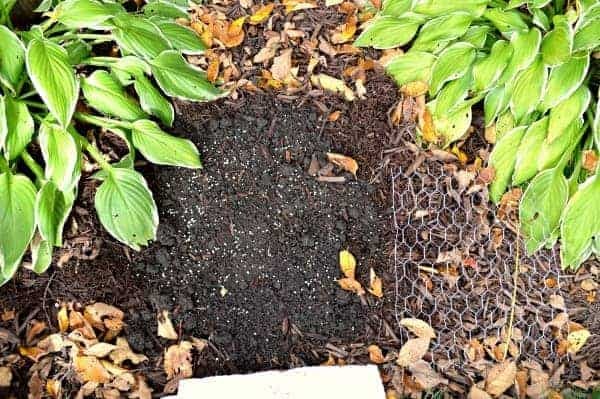 We started to fill the hole back up and once the hole was almost full, we placed a piece of chicken wire over the soil and covered that with remaining dirt. This is supposed to keep the squirrels and other critters from getting to the bulbs. I’m anxious to see if it really works. I sprinkled some slow release bulb fertilizer over the dirt and covered with the mulch we laid earlier in the summer. We planted the Allium in the front flowerbed, near the front door, the same way. A few of the bulbs had to be thrown away because of rot but most of them were healthy. After we were done they all got a sprinkling of water. That’s all we need to do until early next Spring when I’ll pull up the chicken wire so the flowers can bloom properly. Once they die back, I’ll replace it (if it works like we planned). I can’t wait to see them bloom in the Spring! 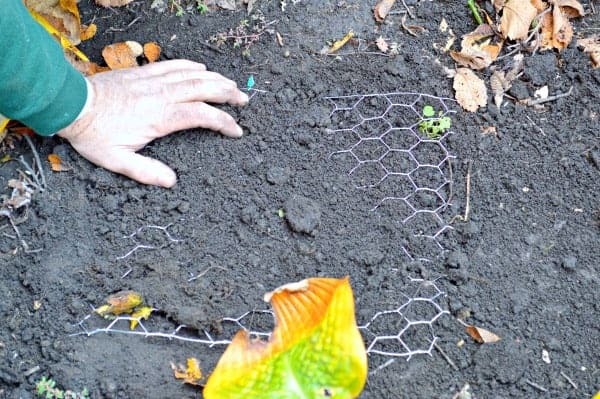 Did you get to do any Fall planting this year? 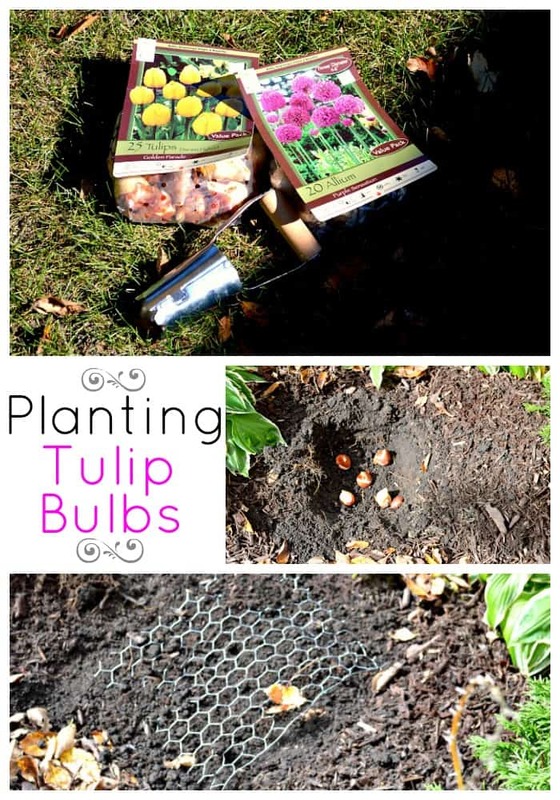 This is of interest to me because my bulbs tend to disappear. I’ve wanted sweeps of naturalized blooms but I’m lucky if I get any. I have been suspicious of squirrels and moles. I’ve been thinking of putting chicken wire completely around the hole the bulbs are in but haven’t tried it yet. Let us know how your solution worked! The only reason I knew that the squirrels were digging up my neighbors bulbs was because I would see these half chewed pieces on the railing of my deck. Glad I did though because now I know to protect mine. I love seeing naturalized blooms in a large yard or field but no such luck in my tiny yard. Let me know if you get to put wire around your bulbs and if it works. Good luck! 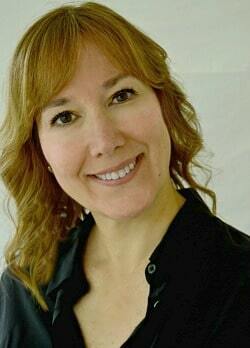 Thanks so much for stopping by Barbara. Thanks for the great tips Joyce, one less thing I have to do. ;) Hopefully next year I’ll get to plant some daffodils.